Pewter Based/Gold Plated/Size- 12.5cm X 2.5cmThe Stainglass Mezuzah Is Handpainted Mimicking The Look Of Stain Glass. The Tree Of Life Is Carved Out On The Mezuzah. 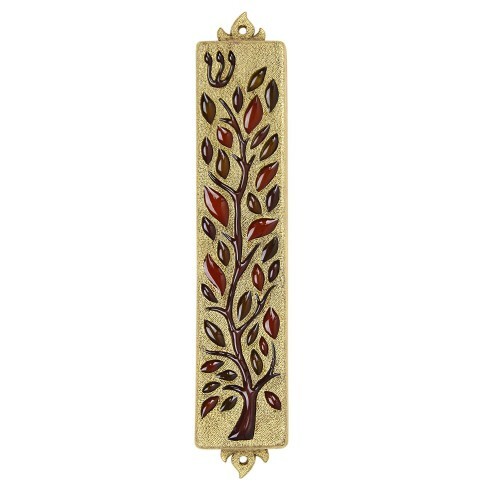 You Instantly Have A Piece Of Art Hanging, The Second This Mezuzah Is Placed On Your Doorpost.